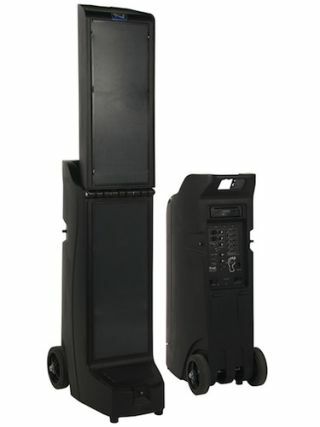 The What: Anchor Audio will debut the Bigfoot Line Array will debut this June at InfoComm 2015 in Orlando, FL. The concept for a turnkey system of this sound pressure level (SPL) and wattage stemmed from multiple requests from Anchor Audio‚Äôs customer and dealer network to deliver a portable sound system that can be heard across a football field, over military trainings, and provide a portable sound solution for large events. The What Else: The Bigfoot emits 130 dB and 400 W AC/DC of sound through its five 8-inch neodymium woofers and one high-efficiency tweeter, all powered by three rechargeable batteries. With a durable UV resistant enclosure and two rugged, heavy-duty 8-inch wheels, the Bigfoot transports easily and, like its namesake, can withstand tough environments.